These days, your website is your first impression. It is the modern-day elevator pitch. Your association needs a website that is both simple and elegant. A website that is easy to use and also affordable. That is where Ultimate-Builder comes in! Through its flagship offering, Ultimate-Builder designs a white-labeled, cost-efficient, and an easy to use website application. Content, images, and color schemes can be easily edited and updated without any computer programming skills; if you can type and remember your login password you can edit a website within Ultimate Builder's network. Ultimate Builder for associations and non-profits will manage all the advertising sales for your organization. By utilizing the Ultimate Builder website system, Organizations and businesses across the country can free up resources that generally are used to create and maintain a website. Rather than a static expense, the website becomes the cornerstone of the brand foundation for each organization. 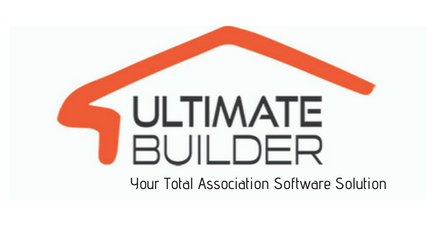 Ultimate Builder's platform can your association or non-profit communicate with members more efficiently, as well as provide some non-dues revenue generation through ad sales. Though our association with MBRVault we are able to offer an all in one AMS (Association Management Solution) for your association. One login will update your website and database. We also work with WMS to help update your association on the national level. MBVault also offers the ability to group email and text your members making sure you can always keep them up to date on everything your association offers. Handel events with ease using MBRVault event management. Create an event that is automatically put on your calendar, send invites though MBRVault and also accept payments to the event.